Thailand, one of the jewels of the Southeast Asia; has been a popular tourist destination for the past decades. Known for its exotic beaches, opulent royal palaces, ancient ruins and ornate temples; the country is a blend of modern and ancient civilizations that make it an ultra-modern place to be at. From food to sightseeing, there are abundant resources that can make you wonder in joy. 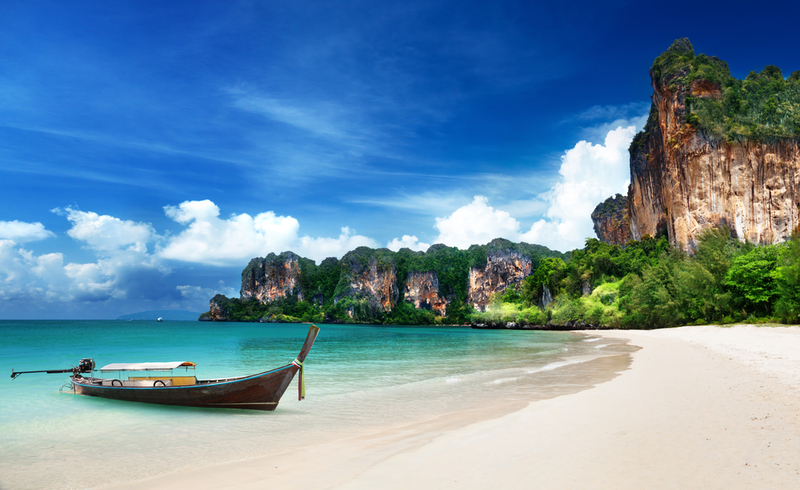 No matter what kind of vacation experience you seek, Thailand will make all your dreams come true. So, while you are planning to take a joy ride to this wonderland, here is the list of the attractions that shall be explored to make the best of your vacation. A small peninsula between the city of Krabi and Ao Nang, this beautiful beach is on the top of our list to be visited while being in Thailand. Considered as one of the best beaches in the country, it has an amazing ambiance that can make you fall in love with it. The white sand and the crystal blue water of the beach is going to steal your heart away and leave you awestruck. Take a boat from the island and enjoy the view of the limestone cliffs that surround the beach. 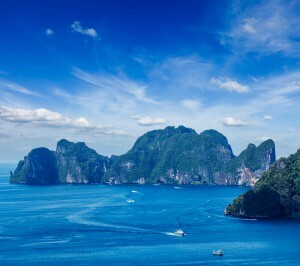 Yet another awe-inspiring place, Koh Phi-Phi islands are the example of serenity and simplicity. Situated between the large island of Phuket and the west Strait of Malacca coast of the mainland, the stunning views of this spot can leave you awestruck. Known to be one of the most alluring and easily accessible spots in the country, Koh Phi Phi Islands are worth exploring place while being in Thailand. Monkey beach, Long beach, Maya bay, etc. are the popular attractions that can be visited while strolling around this awesome place. Apart from beaches, Thailand has a wide range of eye-catching attractions that can make you wonder in surprise. The Grand Palace is one of them. 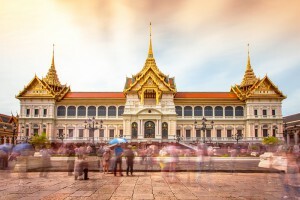 Located in the heart of Bangkok, this amazing architecture is made up of complex buildings that can leave you stunned. Counted as the number one sightseeing attraction in Thailand, Grand Palace has to be on your list while planning your trip. Wat Phra Kaeo, Wat Po and Wat Arun are the other major spots that shall be visited too. Book a cheap flights to Bangkok and enjoy your trip. Last but definitely not the least, Pai is one of the best attractions that we have picked to make your travel memorable. 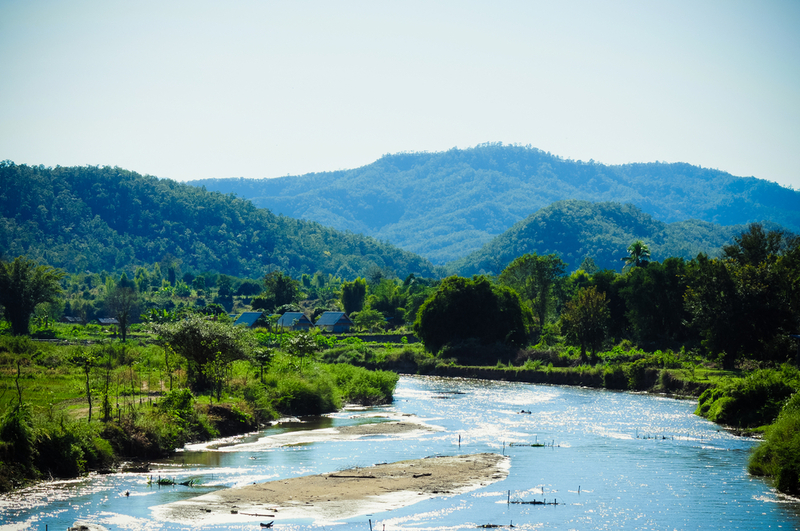 This small town in Northern Thailand’s Mae Hong Son province is nothing less than a heavenly paradise. The impeccable charm and the exquisite beauty of this place will definitely steal your heart away. It is an ideal spot to enjoy the wonders of nature and have a relaxing break. A heaven for backpackers, it has numerous waterfalls, temples and sites that are worth exploring. Do not forget to visit the Pai Canyon. The whole of the country contains a large number of eye-pleasing spots and sights, to see them all you need to plan a trip really soon. Winters are that point of time when taking a sunbath is an eternal bliss. Christmas, Hanukkah, New Year and many more festivals add charm to this wonderful season and make it all the more enjoyable. 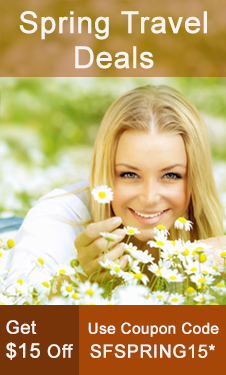 The natural beauty of the flora and fauna is at its best and the colourful ambiance cheers our moods up. With so many things to see during this season, a break from the monotonous routine can help in creating some amazing memories and there could not be a better month than December to do so. So, while you are preparing to welcome the freezing weather, we have prepared a list of destinations that shall be visited to make the best of this month. 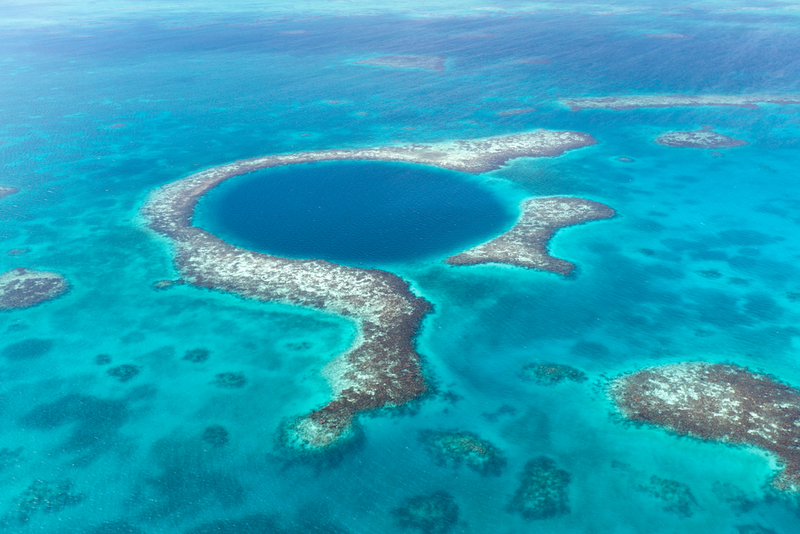 Located on the eastern coast of the Central America, Belize is an ultimate destination with glittering seas, wide range of coral reefs, wildlife and exotic beaches. December and January are the best months to visit Belize as the temperature is perfect and the activities like scuba diving, enjoying various festivals and events can be witnessed during this period. Belize Barrier Reef, Ambergris Caye, Great Blue Hole, Guanacaste National Park, etc. are the major attractions that can be explored too. If you are looking out for a different holiday experience during December, Cambodia is an ideal destination to plan a trip to. The less humid weather of this place will double up the fun of discovering the charm and watching the attractions, such as the Angkor Wat, Banteay Srei, Bayon, National Museum of Cambodia, Preah Monivong National Park, etc. The historical and cultural heritage of this place will make you fall in love with it. 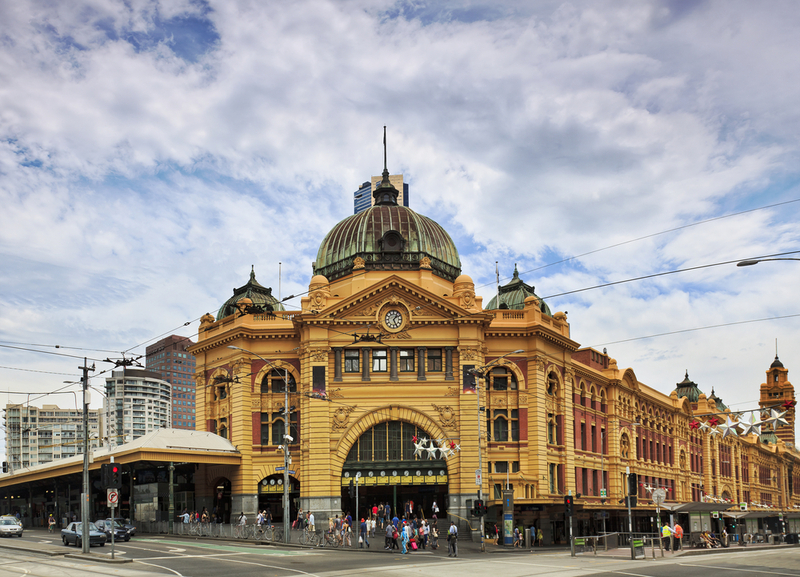 While the winter season gives a knock in the U.S during December, the sunny weather of Melbourne will give you a perfect holiday experience. This coastal city witnesses a large number of tourists during this month, thus you can enjoy with great crowd here. Numerous bars, restaurants, beaches and tree-lined boulevards add grace to the elegance of the city. 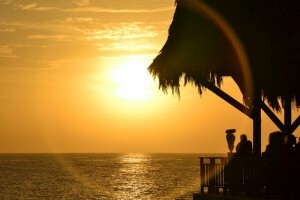 The exotic beaches of this alluring destination let you get soaked in the sunshine and enjoy your vacation. 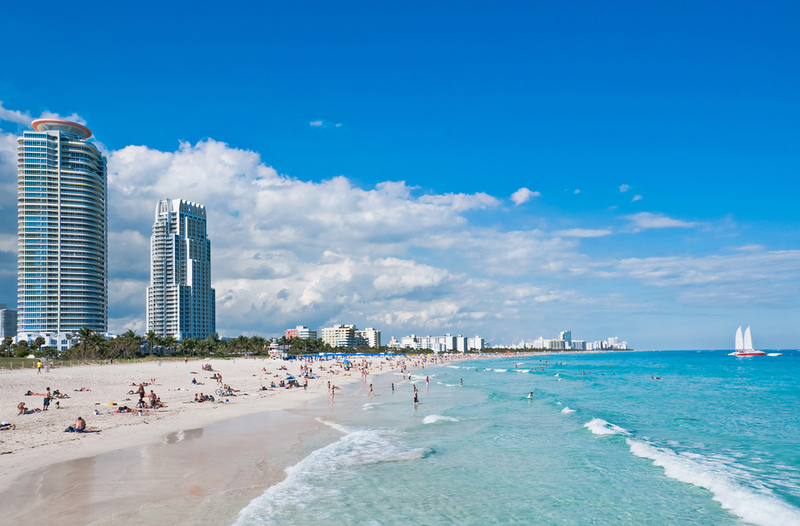 The vibrant city of Florida has a treasure trove of eye-catching attractions for you and if you visit it in December, the pleasant weather welcomes you with great zeal. This party capital will not fail to amaze you with its charm and definitely going to steal your heart away. Coral Castle, Jungle Island, Key Biscayne, Bill Baggs Cape Florida State Park, etc. are few of its popular spots that are enough to leave you awestruck. Since it’s already a month left for December to come, start planning your trip by picking any of these above-mentioned destinations. Also, do have a look at the winter travel deals section of SmartFares as you can get huge discounts. Book a cheap flight with SmartFares and enjoy savings on airfares to make the best of your December travel getaways. The cold breeze, snowy surroundings and the warmth of a cup of coffee; all these pleasure can only be enjoyed in the winter season. There are endless reasons that make us fall for this lovely season. But there are certain people who don’t enjoy the season at all. The weather doesn’t suit them and thus they turn on the hibernation mode and look for a warmer area to spend the winters at. If you too are looking for such an opportunity of escaping to a destination that will give you warmth in this cold season, here is the list of the top places you should head straight to. A laid-back town in western Jamaica, Negril is the first destination on your list that will make you fall in love with it. Known for its white sand beaches, shallow bays and calm waves of water, Jamaica can give you an ideal vacation experience in the winters. 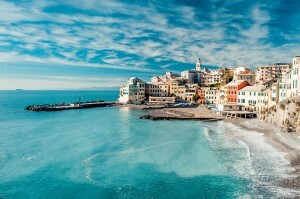 There are many seaside resorts, restaurants and bars which will double up the fun of your vacation. Temperate weather and water sports activities are going to add pinch of magic to your stay. Waikiki is a beachfront neighborhood of Honolulu, located on the south shore of the island of Oahu. Known in Hawaiian as “spouting waters”, it is an alluring place with the perfect beach climate and activities that can give you a treasure trove filled with fun, enthusiasm and excitement. 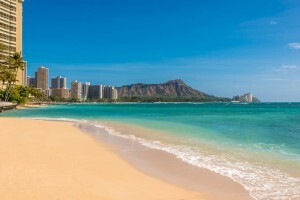 The major attractions of this spot include the Waikiki Beaches, Kapiolani Park and Queen Kapiolani Garden, Waikiki Aquarium, Diamond Head Crater, etc. Spend a lavished stay at any of its hotels and make the best of your holiday. 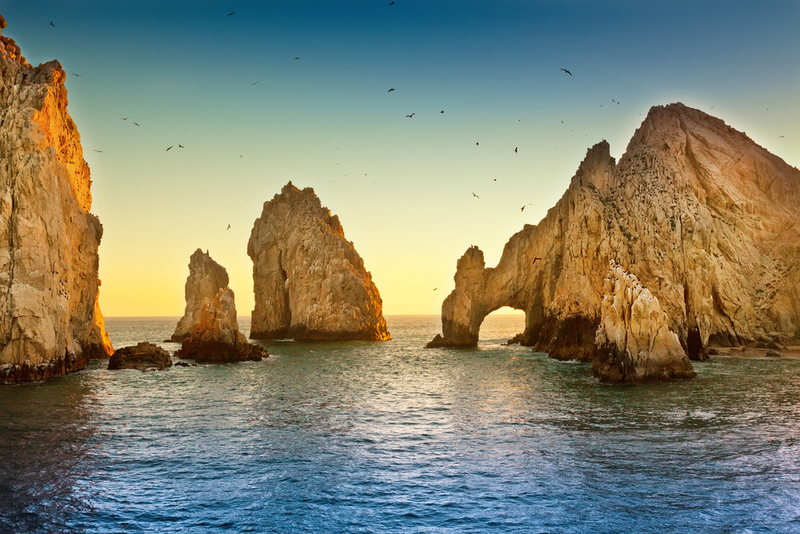 Known for its beaches and diverse landscapes, mountains, deserts and jungles, Mexico is yet another ideal destination that can be explored this winter season. The destinations like Cancun, Mexico City, Playa del Carmen, Cabo San Lucas, Puerto Vallarta, etc. welcome all its visitors with great warmth and serve them with the best sightseeing attractions. The best time to visit it is in the month of December, when you can discover its several attractions including the Tulum, Chichen Itza, Coba, Xcaret, Zocalo, etc. 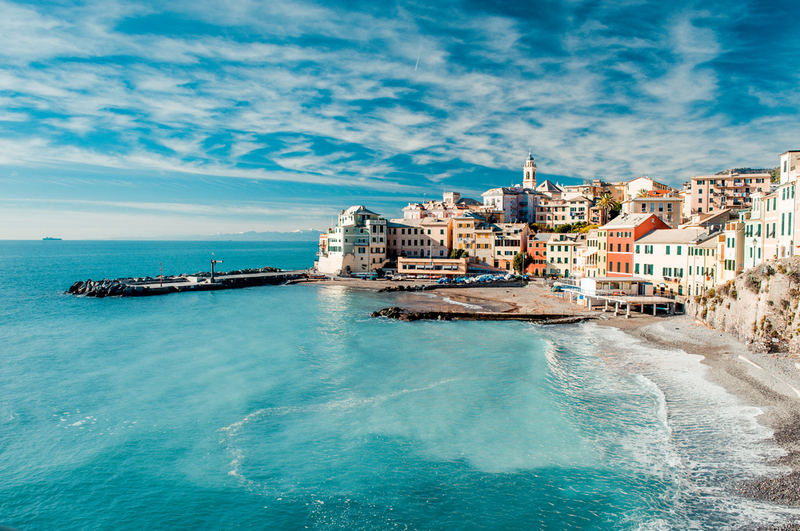 The impeccable charm of Italy is not hidden from anyone. No matter what kind of holiday experience you wish to have, the country will help you in making all your dreams come true. This extra ordinary destination has abundant spots, attractions and places that can make you forget everything. Perfect weather, long coastline, amazing culture and cuisines add to the factors that prove it a well-versed place that will give you warmth in the winter season. There are many more destinations and places that can be explored, where you can fly to get rid of the freezing temperatures of the winter season. All you need to do is, pack your bags, take your travel buddy along, browse the winter travel deals available at SmartFares and fly high to any of these destinations and take a never before experience. With over 100 ethnic groups, vibrant culture and amazing sights to explore, Myanmar (Burma) is one popular tourist destination in the Southeast Asia that can give you numerous memories to be cherished for a lifetime. 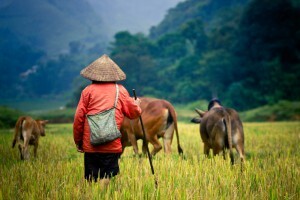 Known as the ‘Golden Land’, it is surrounded by major countries including India, Bangladesh, China, Laos and Thailand. This culturally and historically rich country has a treasure trove of eye-catching attractions that will leave you spellbound. While you are planning a trip to this amazing destination, here are the spots that we have picked for you to make the best of your vacation. Create a checklist so that you don’t miss any of them and get the best of this wonderland. 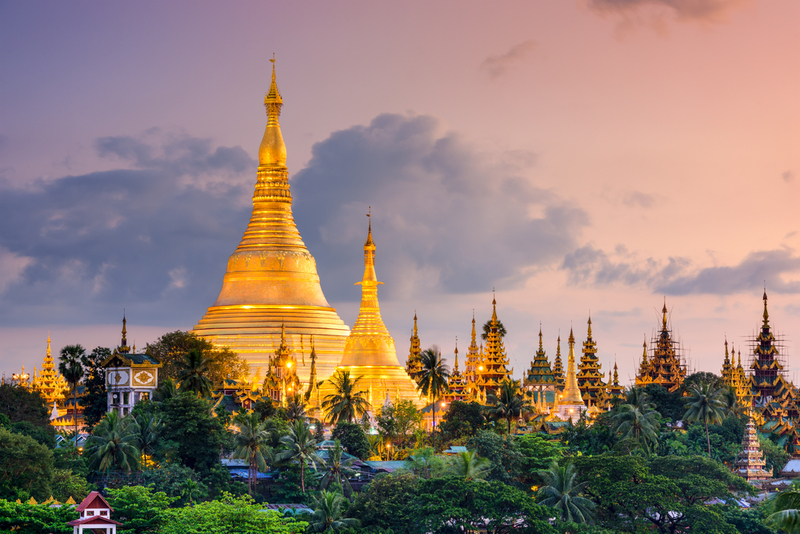 The largest and most important city of Myanmar, Yangon is an amazing destination with a wide range of colonial architectures, Buddhist Pagodas and a vibrant skyline. The impeccable charm of this destination will make you wonder in surprise. Museums, art galleries, and many more historical landmarks will add a pinch of joy to your trip. Do not forget to give your taste buds a treat with the delicious cuisines that are hard to find anywhere else. After Yangon, head straight to Bagan, this ancient city of Burma will take you to the 13th century and its influence. It is one of the most beautiful archeological sites that will give a treat to your eyes. There are pagodas, stupas, temples and many more spots that clearly depict the Buddhist influence. To delve into its magical charm, you need to be here soon. The majestic charm is definitely going to steal your heart away. 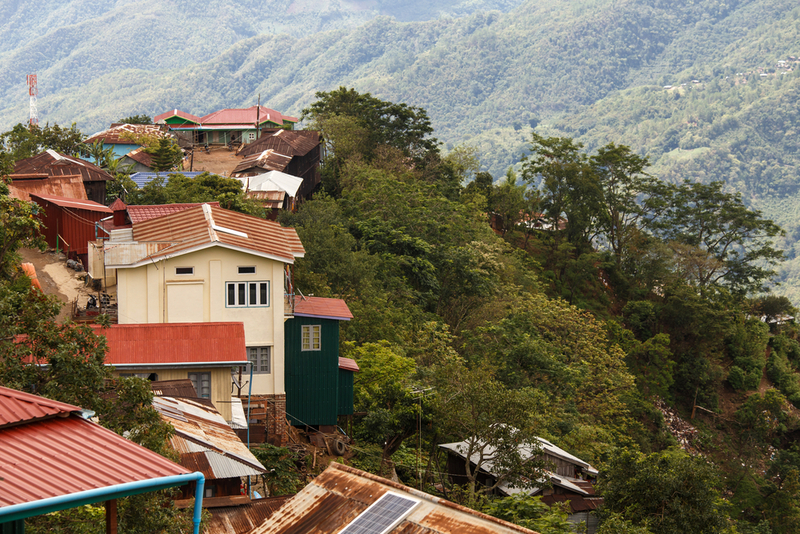 The most diverse part of the country, Northern Myanmar is a beautiful place with huge mountains, eye-pleasing sights, lovely landscapes and a mix of modern and ancient civilization. Placid stupas, temple-studded plains and warm-welcoming people of the region will make you spend a longer time here. The photogenic sights and unique sites will make you lose your heart for this alluring destination. Take your travel buddy along to create some awesome memories. To get the best experience of being in Myanmar, do visit the western region of the country and watch the agricultural land spreading happiness throughout the nation. The green towns, exotic beaches and huge fields are nothing less than an awe-inspiring scene that will surely leave you spellbound. Surrounded by the Bay of Bengal in the west, this delta region is also known as the Rice bowl of the nation. To explore its hidden vistas, visit it soon. 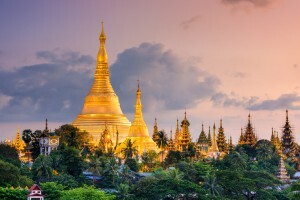 Myanmar is a gem in the crown of the Southeast Asia and has several eye-catching and attractive places, spots and landmarks that will definitely urge you to explore this tourist friendly and budget friendly destination thoroughly. Since the list is already here, there isn’t any reason to delay more. 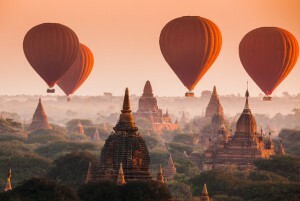 All you need to do is, book a cheap flight to Myanmar through SmartFares and save huge with the additional discounts. Road trips are the best way to explore a country, its famous landmarks and the different spots. It gives a chance to peek into its deep roots from where we get to know about something new all the time. Traveling can make you experience the best moments of your life, but you cannot know your potential and introspect unless and until it’s a road trip, especially when you are on a ride to measure the roads of South America. Forget everything and pack up your bags for an exciting adventurous trip, which you might not get anywhere else. Pull up your socks and get ready to enjoy a thrilling expedition that will make you scream in joy and surprise. 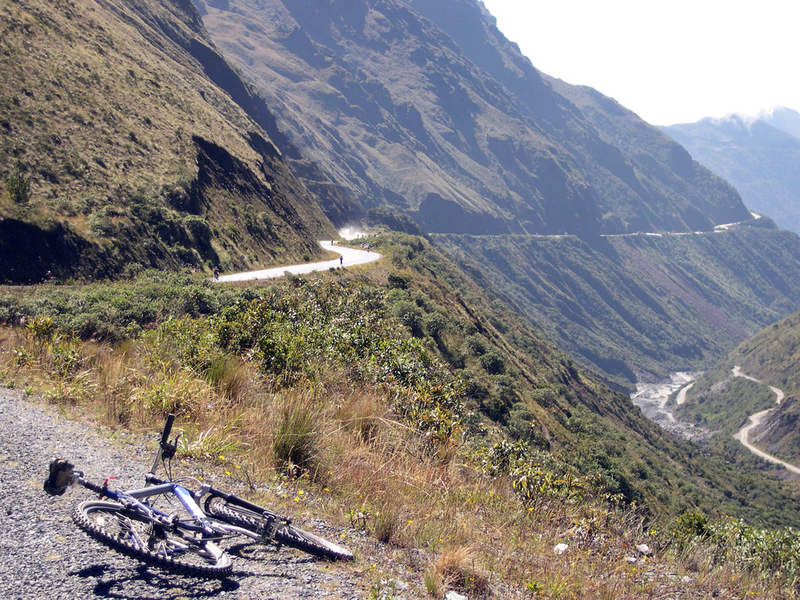 Also known as the World’s Most Dangerous Road, the death road in Bolivia is a highway that stretches from 61 to 69 kilometers that connects the Amazon rainforest region of northern Bolivia to its capital city. The magnificent views of the road and the breathtaking route will give you an out of the world experience. The road is filled with tourists all the time and travelers can be seen cycling very often. 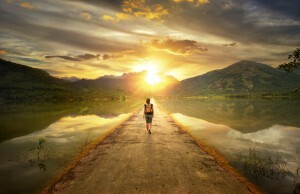 So, if adventure is what you seek, take this road which is actually less traveled but worth visiting. 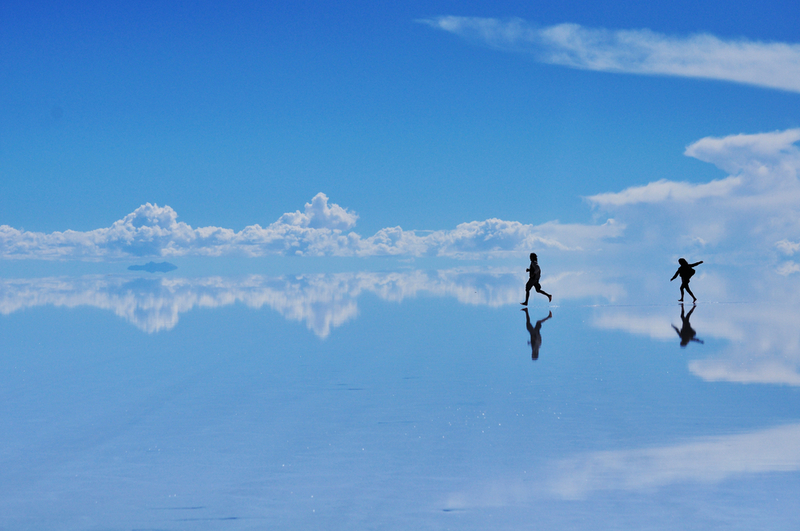 Salar De Uyuni is the world’s largest salt flat that happens to be another renowned adventure-filled road trip. 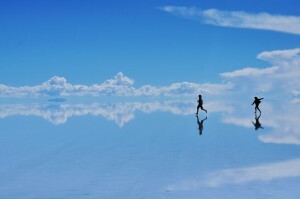 The smooth white salt flat and the crystal blue sky will add charm to your trip and leave you awestruck. It is an amazing place to experience a 4×4 excursion. The solitude of the place will make you fall in love with it and you’ll definitely like to spend time discovering its hidden vistas. 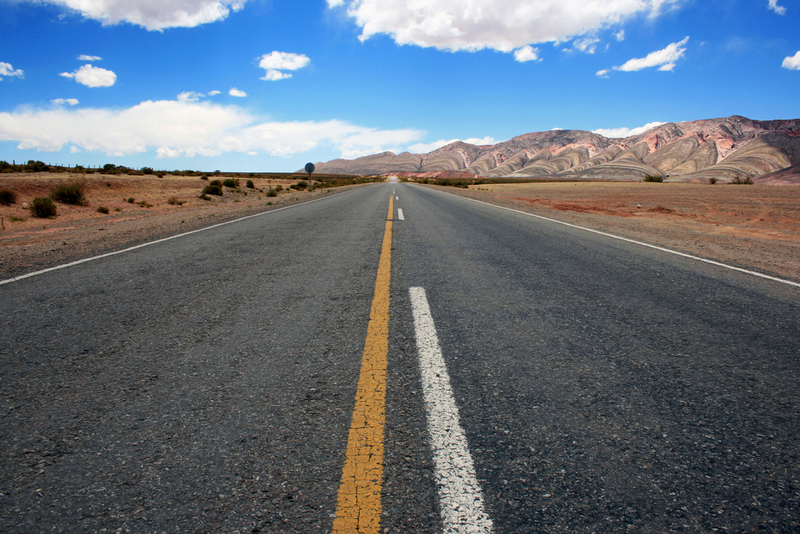 The road takes you to La Paz from Uyuni. Do not forget to stop over its only restaurant and take a break from the drive. 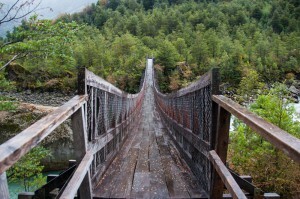 Formerly known as the Carretera General Augusto Pinochet, Carretera Austral is a name given to route 7 of Chile. The highway is around 1,240 km long and connects Puerto Montt to Villa O’Higgins through rural Patagonia. Flawless views of fjords, glaciers, forest and natural sceneries are the common sights that you will encounter while driving on the road. The unpaved roads are no less than an electrifying experience which you will relish if you are an adventure seeker. Get on your ride and take yourself on a journey that will make you forget everything else. This 4,000 km long highway is the connecting link from Amazon to Brazil. Driving along the Amazon on the unpaved roads is an experience that you will remember for your lifetime. You will have to ride between the cattle and the cowboys that can be found all over the roads on this route. The best time to drive on the road is between July to October when you can watch the wonderful sights of the Amazonia National Park and the village Labrea. 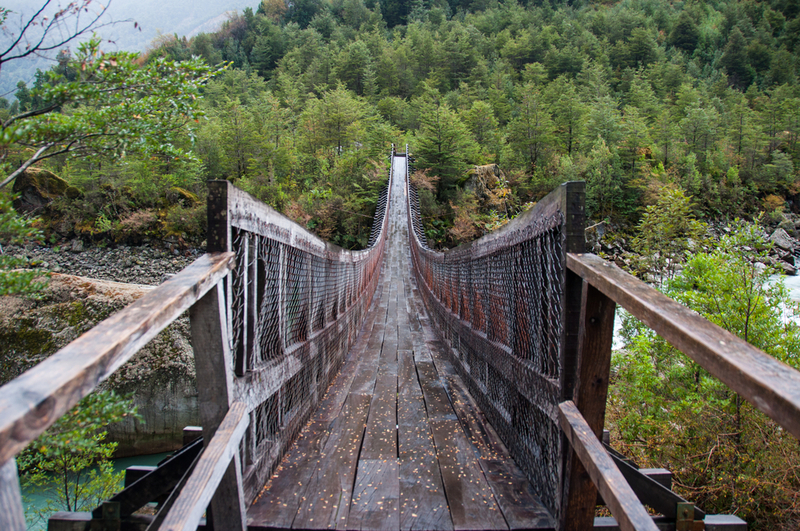 This is yet another adventurous ride you will come across. The most famous and the longest road in South America that takes the tourists from La Quiaca in the north to Rio Gallegos in the far south of Argentina. A ride on this route will make you give a treat to your eyes with some astonishing views of the Andes Mountain and the Los Glaciares National Park. Herds of sheep and foxes can be spotted while driving on the road that will add a pinch of magic to your drive. A drive on this route cannot be missed as it is one of the most important routes of the South America. So, while you are planning your itinerary, do not forget to browse through best hotel deals on SmartFares.